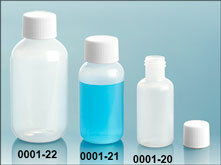 The natural LDPE boston round bottles are packaged with the white PE lined screw caps. 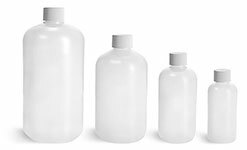 LDPE is a softer plastic making these bottles squeezable. 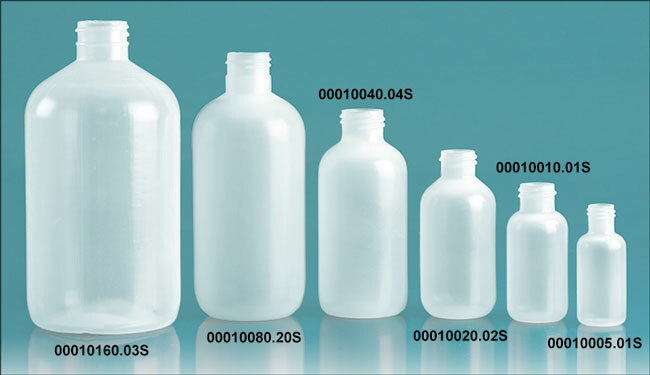 The natural plastic bottles could have a variety of uses in the lab, or personal care products such as shampoo and conditioner, lotion, and soap bottles.